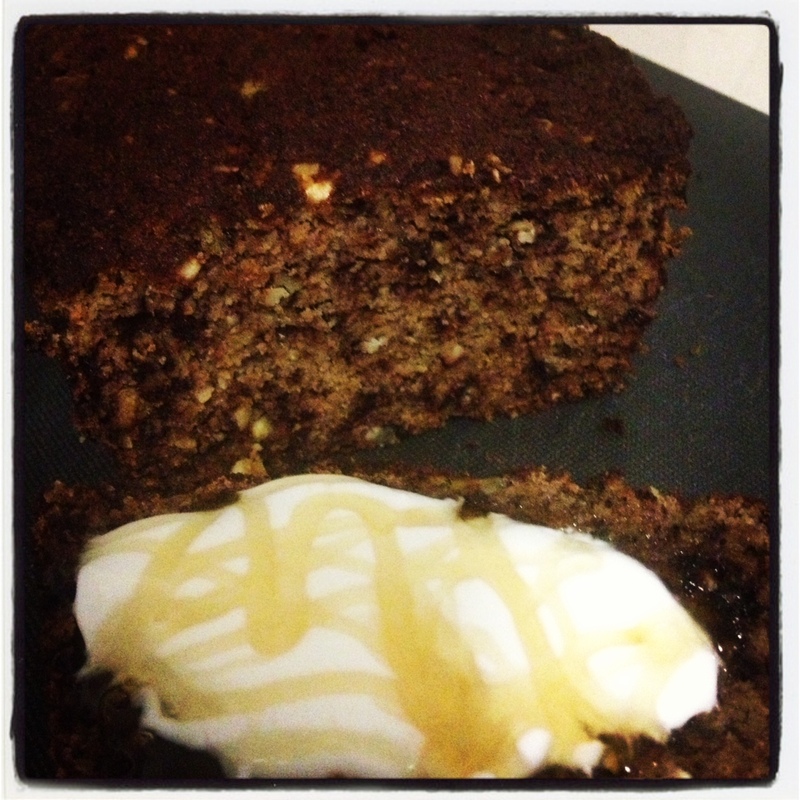 Banana Bread, no sugar, grains or dairy! This recipe came up a couple of times on my Facebook newsfeed so I copied it into Paprika (my online recipe collection) bought a bag of bananas and have been waiting patiently for them to turn brown. Well its been long enough…. they aren’t as ripe as what I would like but I couldn’t wait any longer! I have converted this for the Thermomix but for the original recipe, you will find it here on the Primally Inspired website. Place all ingredients into your TM and mix on speed 5 for 10 seconds. If your coconut oil was solid like mine, put this into your TM bowl first and melt for 2 mins on 50 degrees and then add everything else in. Pour into your loaf tin and bake for around 40 mins or until cooked through. I would have loved to cover my slice in butter but this month I am doing dairy free so opted for some coconut yoghurt and a drizzle of honey – delish! I made the Banana bread in the Every Day Cook book, but I think this one looks a lot healthier..
Love your email with options to cook.. Will have to start trying some..
Thermomix is going well.. I have taken over a lot of the cooking at home now.. Didn’t think I would ever say that!!!! That’s great Laura! Good to hear you are doing the cooking 🙂 Too easy with the thermomix! !